Gaming goes way back to the 20th century and the most revered games of all time has been Ducktales. The Moon Theme from the 1989 classic Ducktales has been among the best chiptunes of all time, and if you had to rate it, it would always emerge in the top 10. The weird thing is it has had to wait for 30 years, but the Ducktales Moon Theme now has official lyrics. Still, what matters is not how long it took but that it is finally here, and Disney has added the song to the Ducktales canon. The original Ducktales for NES is an all-time classic for those who love gaming, and when you listen to the familiar tune, you cannot help but have a nostalgic moment reminiscing the original game. The song was written by Jake Kaufman, John Smith, and Mark Mueller although you cannot miss the hint of inspiration from the original composer, Hiroshige Tonomura. As for the vocals, Paget Brewster lending her voice as Della does it some justice when she sings it. 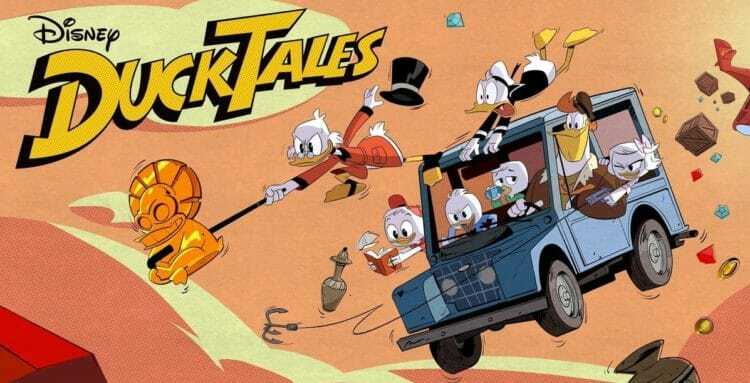 Della Duck is the mother to Louie, Huey, and Dewey and in the new Ducktales series, there is the episode that references the game theme and provides a backstory of Della. In the episode, the story is about how Della got trapped in the moon and before some alien attacks her, she finds the alien’s child and soothes it by singing to it the lullaby. Maybe even for us, we get to understand that even ugly creatures have a heart too and deserve some love. Della goes on to befriend the alien, and it then assists her to get to the next stage of her journey. The original Ducktales, which was a collaboration between Capcom and Disney, is an action platform video game which was first released in North America in 1989 for Nintendo Entertainment System (NES), but later ported in 1990 to the “Game Boy.” It revolves around Scrooge McDuck who travels around the world as he collects treasure while outwitting his rival Flintheart Glomgold, thus becoming the world’s richest duck. On each system, DuckTales sold more than a million copies across the globe, and it ended up becoming Capcom’s best-selling title. The game gained recognition and appreciation for the tight controls, polished presentation, and unique and non-linear gameplay. It still is regarded as among the best titles for NES. When released, the game got positive reviews, and the Electronic Gaming monthly applauded its colorful graphics and gameplay saying it was the prime example of outstanding design. The magazine further commented that the game was most probably targeted for the younger audience since it has a short title and lacks complexity saying even if you enjoy the game, you might not be interested in it much after the first day of play. On the other hand, Mean Machines termed the game as very tough and challenging and that it requires quite some skills to get through the game in one sitting. With such popularity it was no doubt that it had to have sequels therefore in 1993, Ducktales 2 came to being. In 2013 Wayforward technologies developed a remastered version of Ducktales that featured most of the original voice cast from the show as well as a high-resolution graphics. The remastered version was for PlayStation 3, PC, Xbox 360 and Wii U while the 8-bit version, included in the Disney Afternoon Collection was for PlayStation 4, Xbox One and PC. The Ducktales Remastered version’s creative director, Matt Bozon praised the music of Ducktales as among the best 8-bit music he has ever heard.